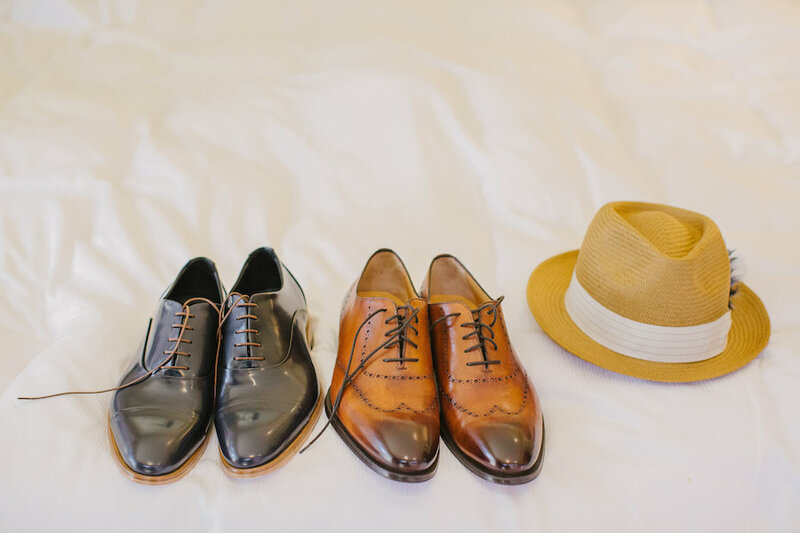 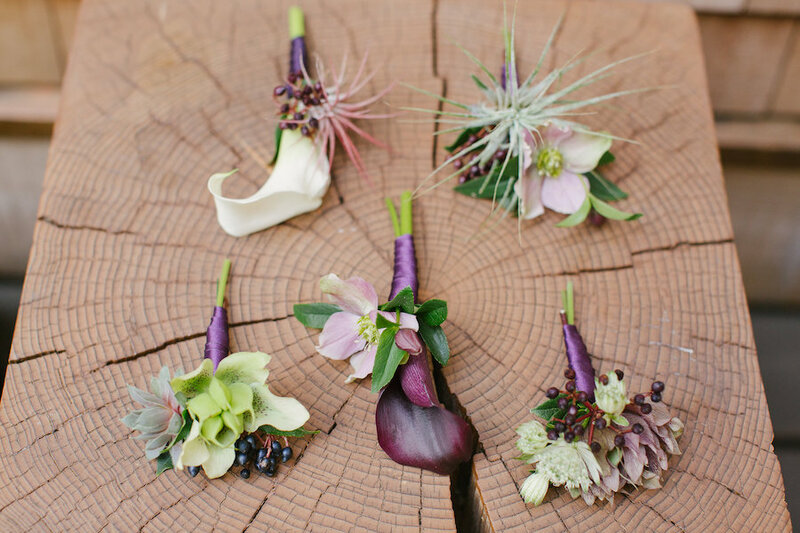 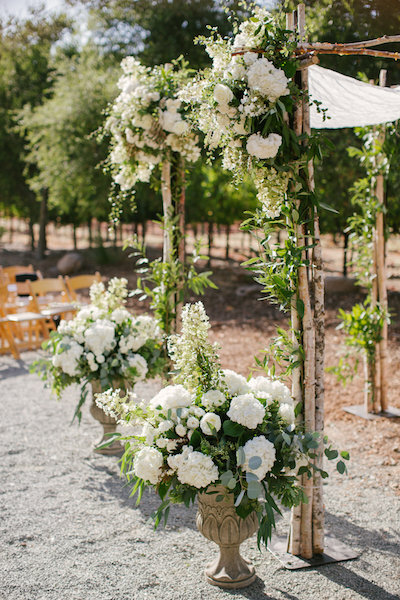 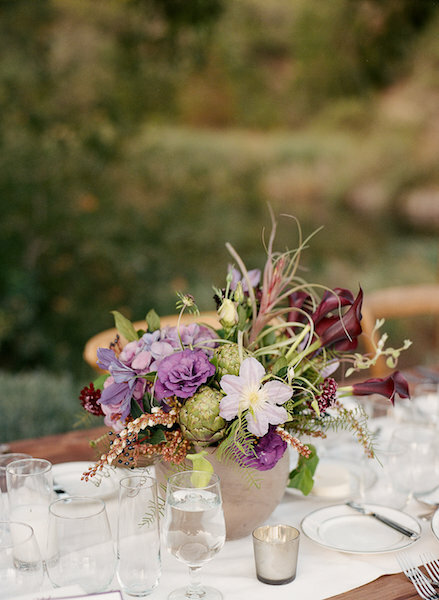 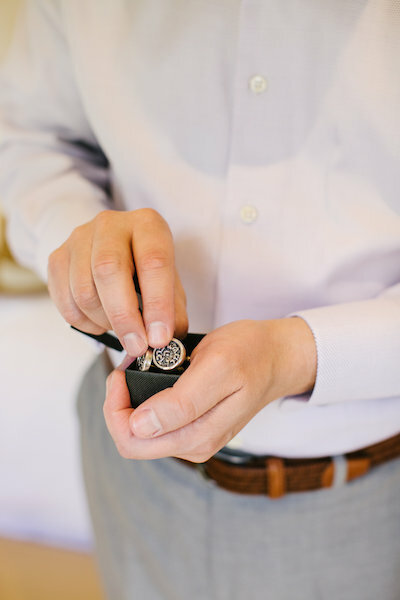 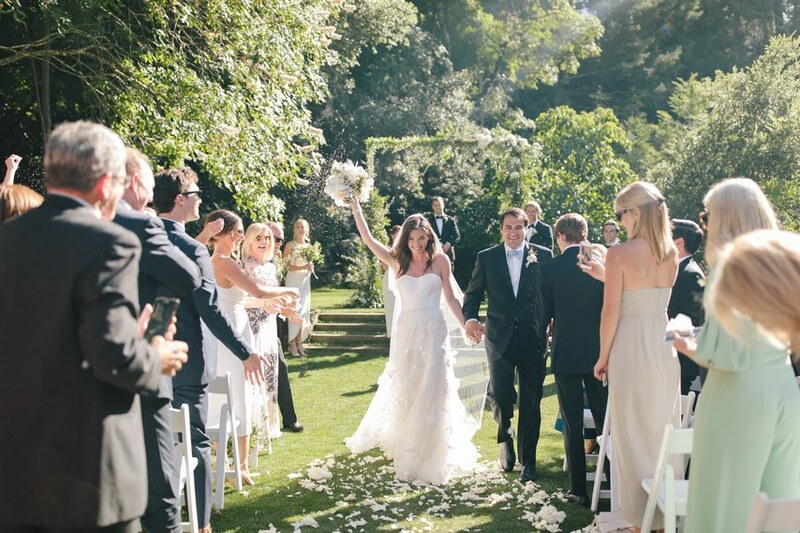 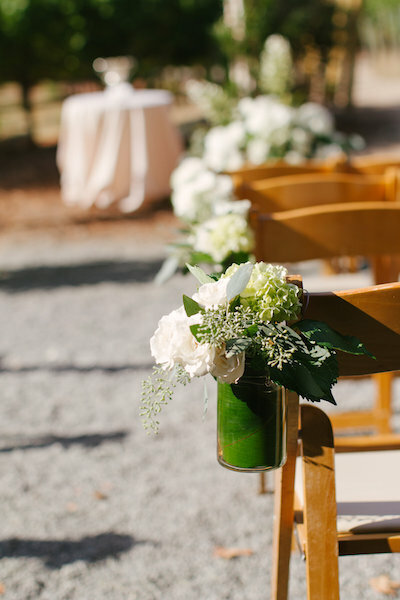 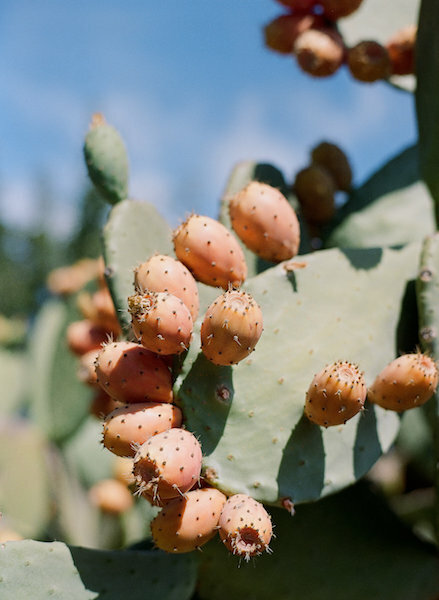 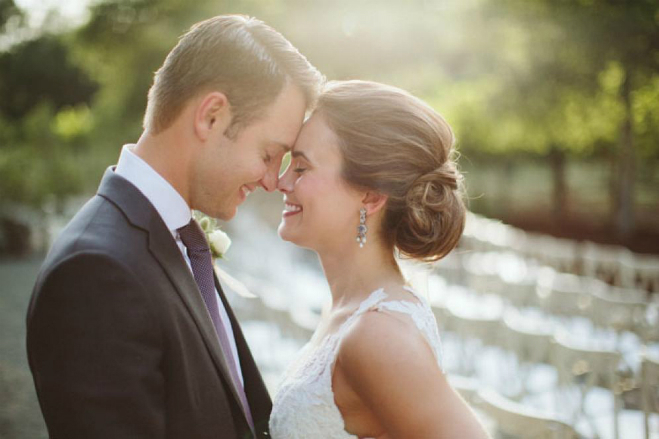 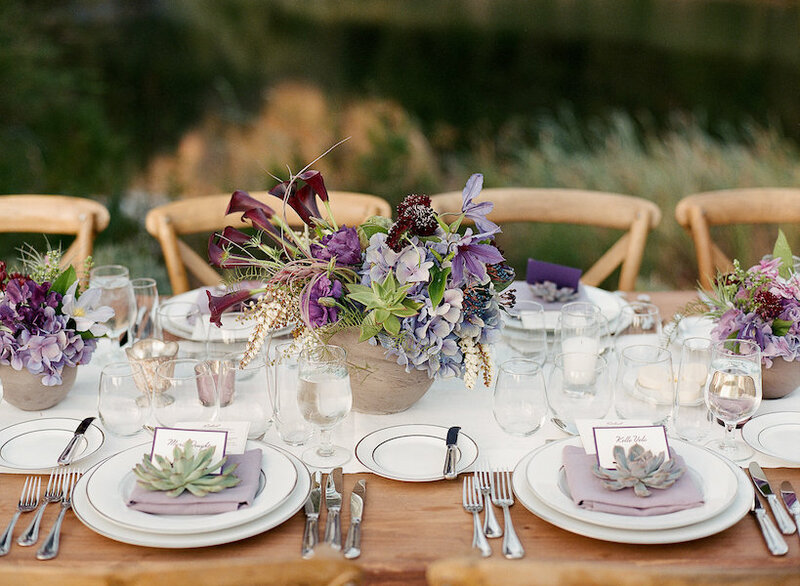 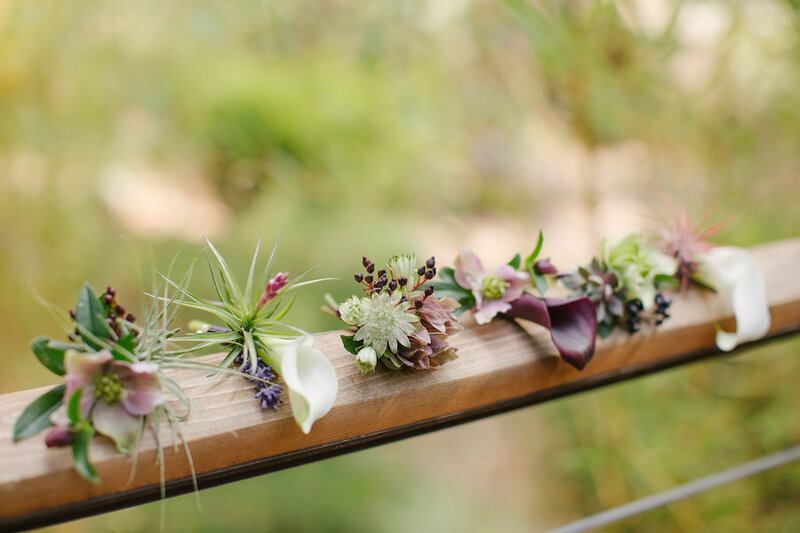 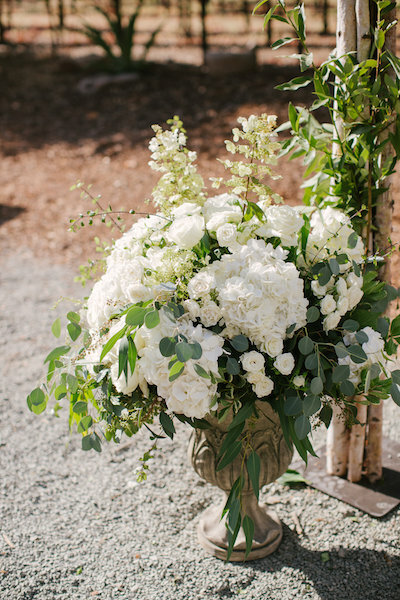 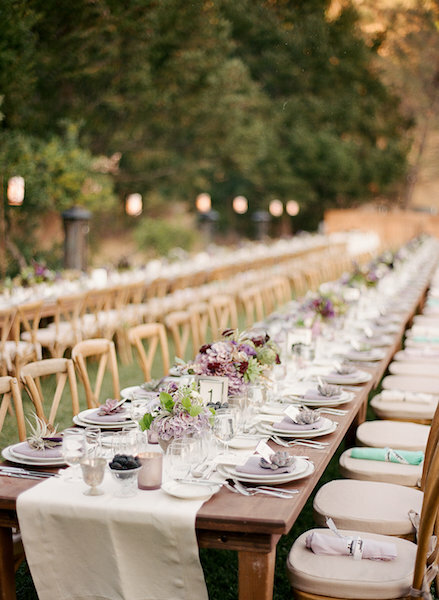 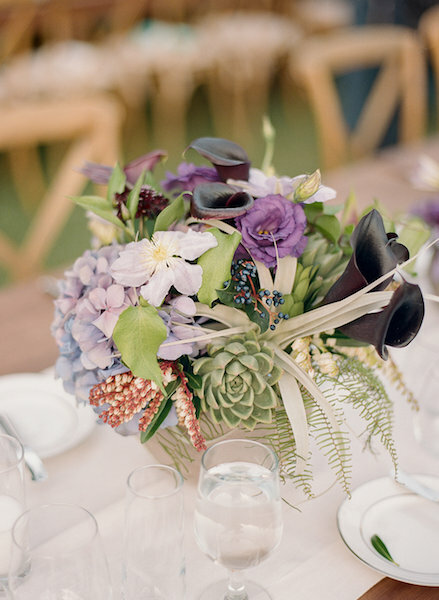 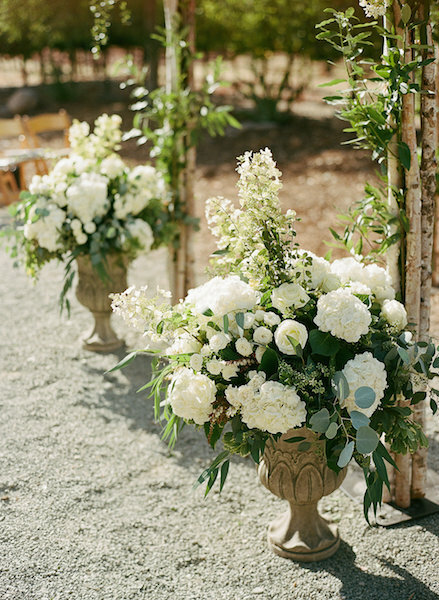 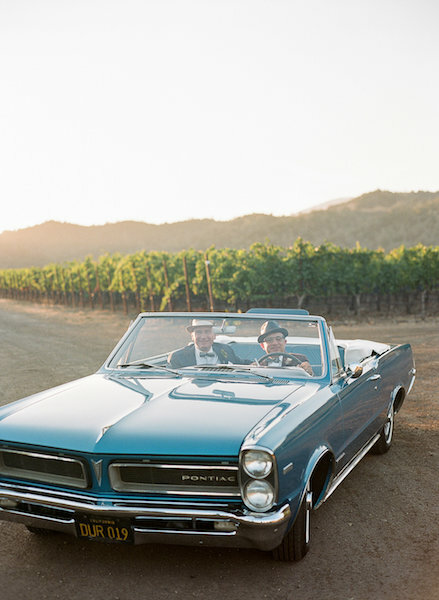 Napa Valley Wedding Featured in Equallywed. 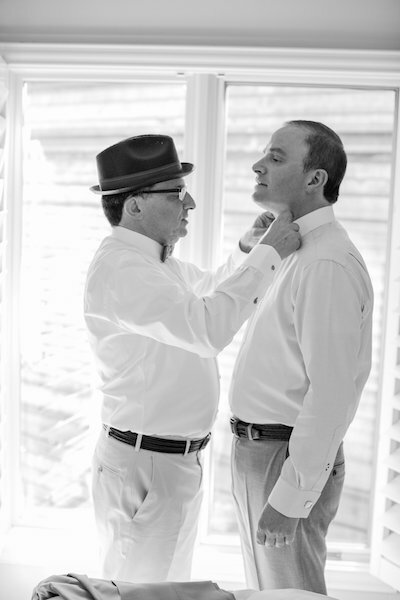 Eliav and Paul have been together since January 15, 1994. 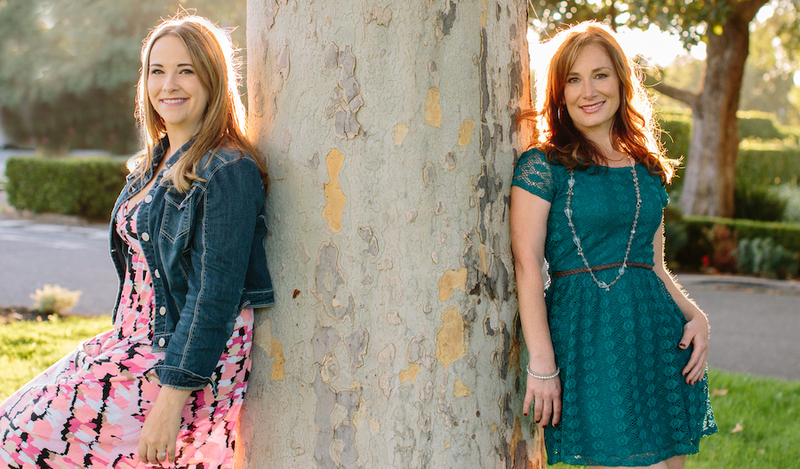 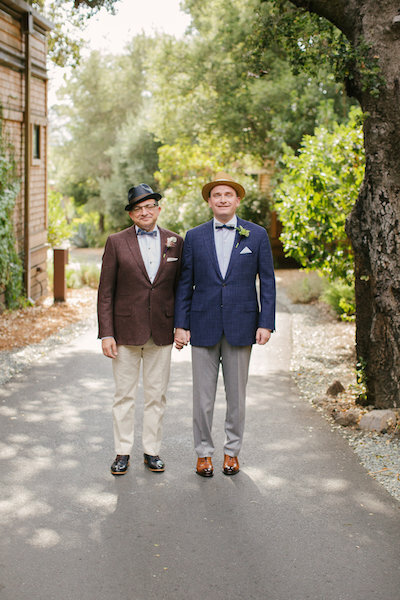 They decided not to have a commitment ceremony until gay marriage was legal, so they waited until September 4, 2016! 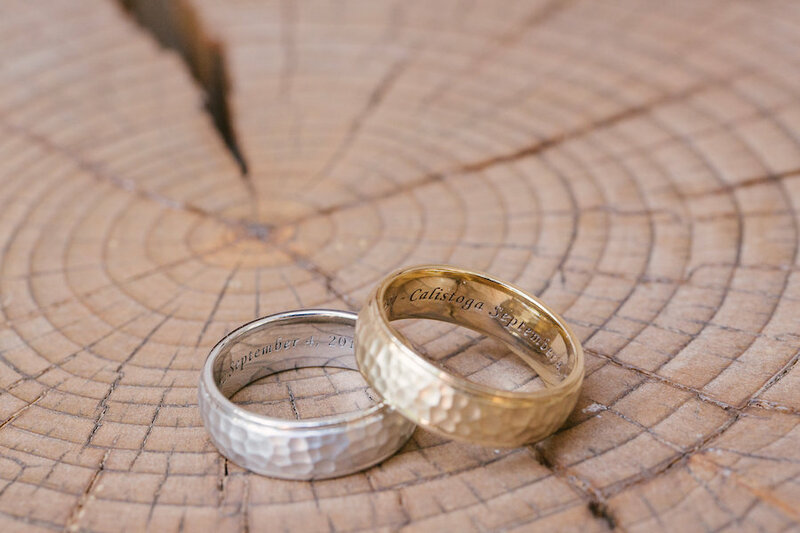 You could say it was a 22 year engagement. 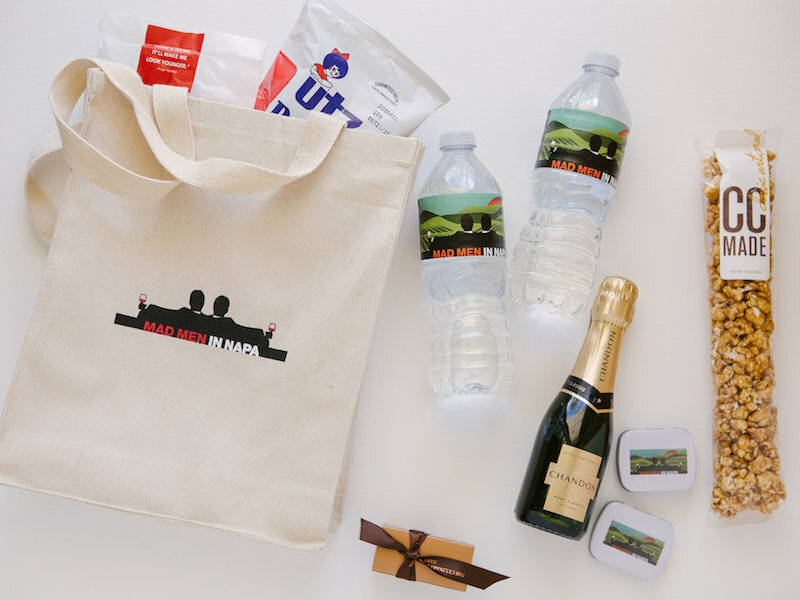 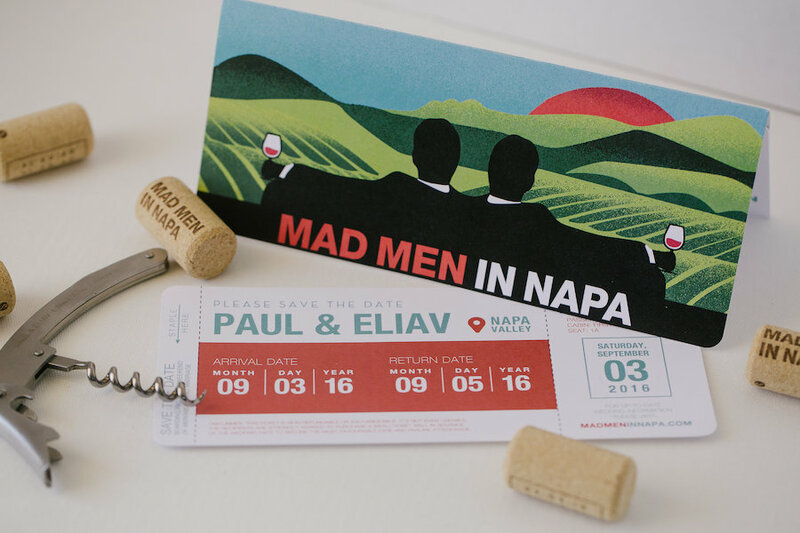 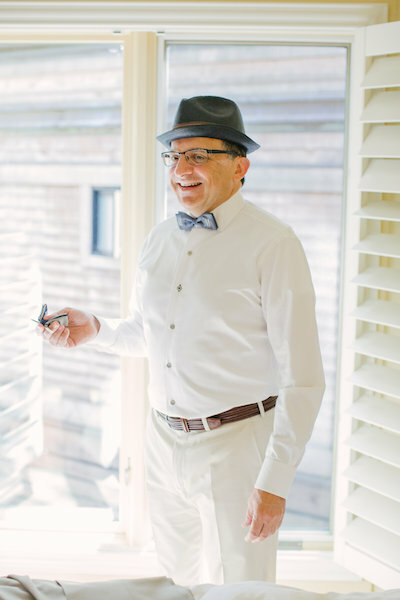 The wedding was themed as “Mad Men in Napa” to connect some of the many passions of the grooms: food, wine, mid-century design, and the AMC series Mad Men. 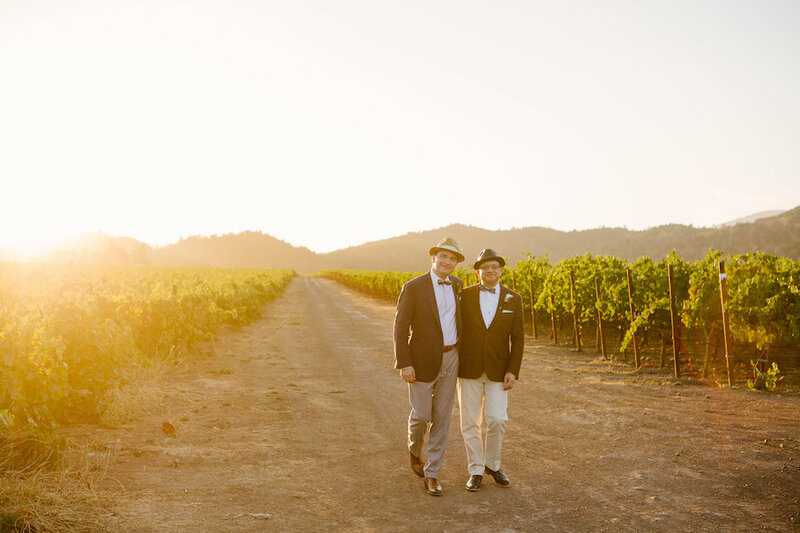 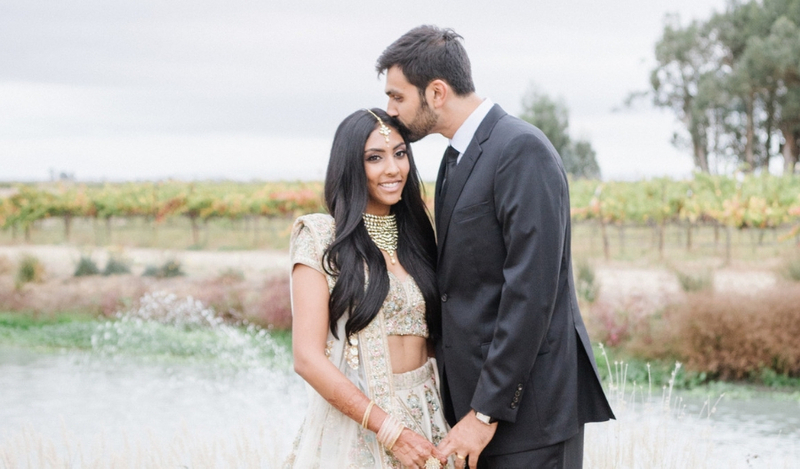 The grooms are frequent visitors to the Napa Valley and devoted wine collectors (wine cellar of over 3,000 bottles) and they wanted to treat their guests to all that the region has to offer. 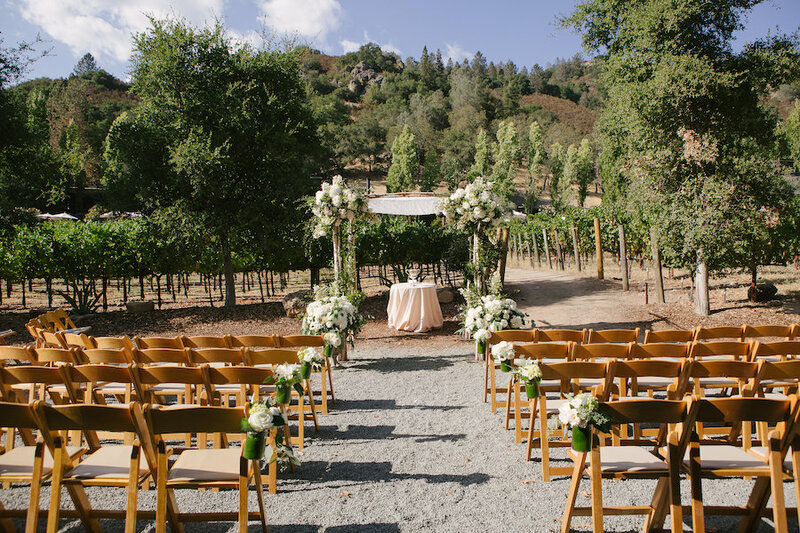 The wedding was built around experiences. 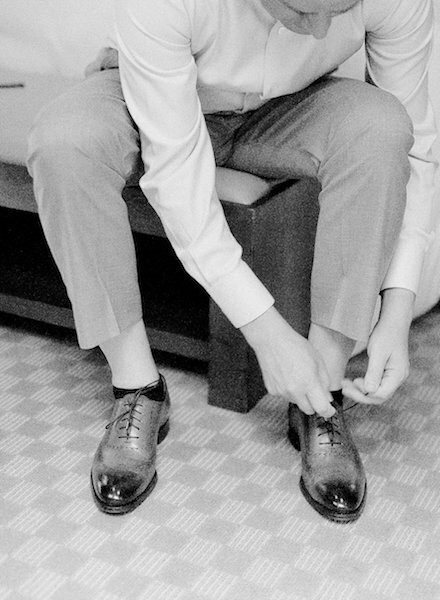 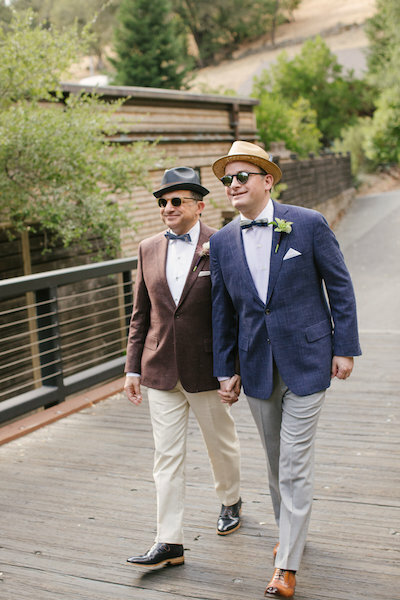 Rather than simply provide a series of random events, the grooms wanted guests to experience what a 1960s wedding weekend might have looked like in the Bay Area. 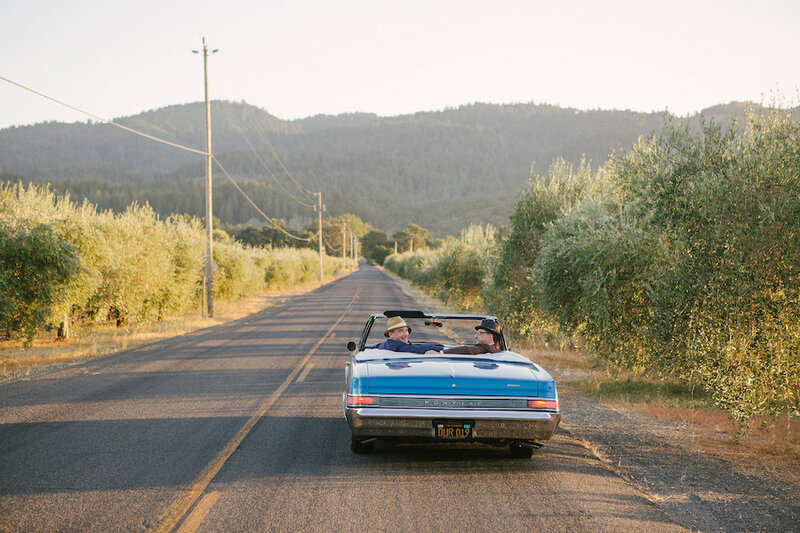 Experiences included a wine blending competition, cooking school, a mixology class, and a tour of Domaine Chandon. 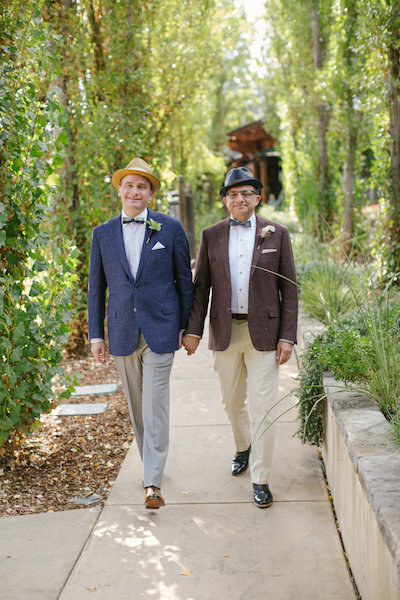 The weekend began on Saturday, September 3, with a lunch for the immediate family in the gardens and patio of Tre Posti in St. Helena. 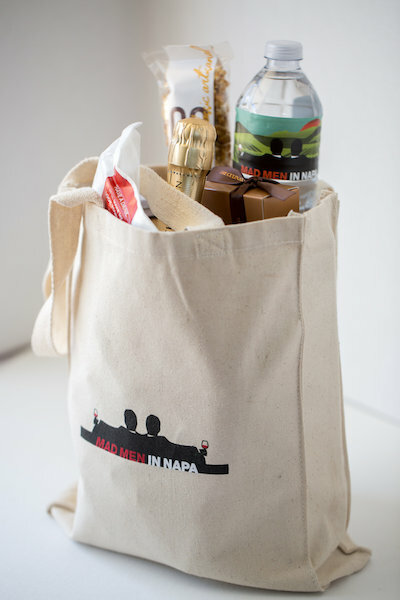 This was followed by a wine blending competition at Franciscan Estate. 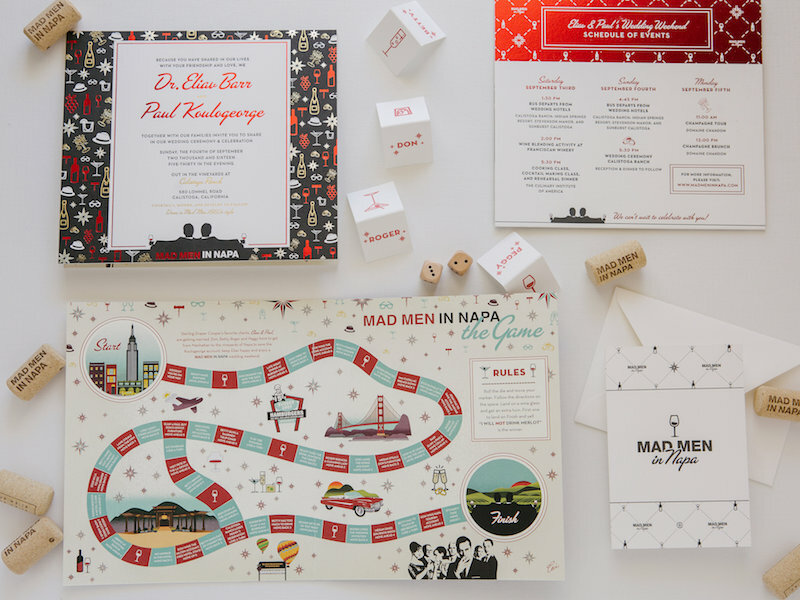 Guests were divided into teams named for characters in Mad Men. 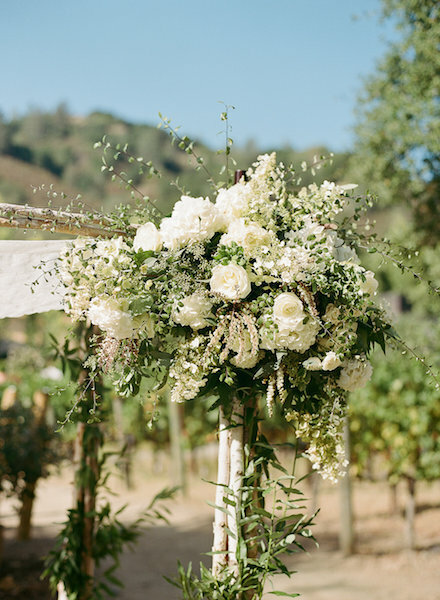 Each team was asked to blend single grape wine into a unique blend, design a label for a bottle of this blend, and then market the bottle to the grooms in front of all of the guests to win wine-themed prizes. 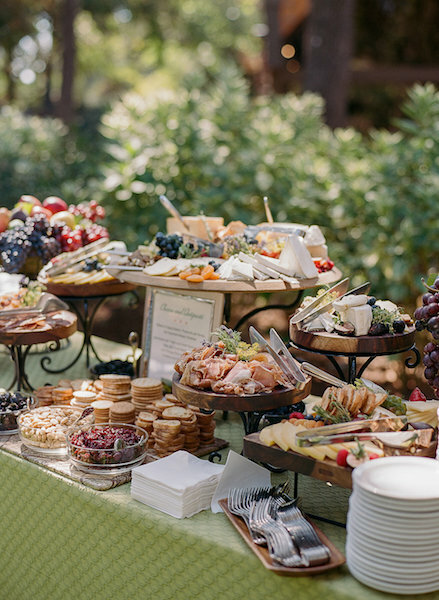 Next, the guests went to the Culinary Institute of America at Greystone (CIA) where they were treated to a 1960s-themed cooking class to learn how to make vintage hors d’oeuvres such as pigs in a blanket, chicken a la king, and ambrosia salad. 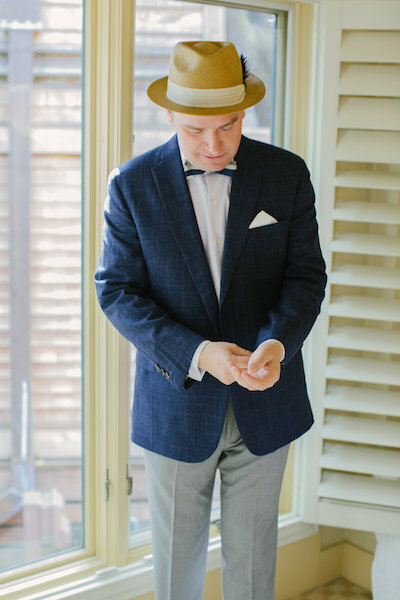 While the guests enjoyed their retro creations, they participated in a 1960s cocktail class where they learned and tasted classic Mad Men cocktails like a Manhattan, Gimlet and Gibson. 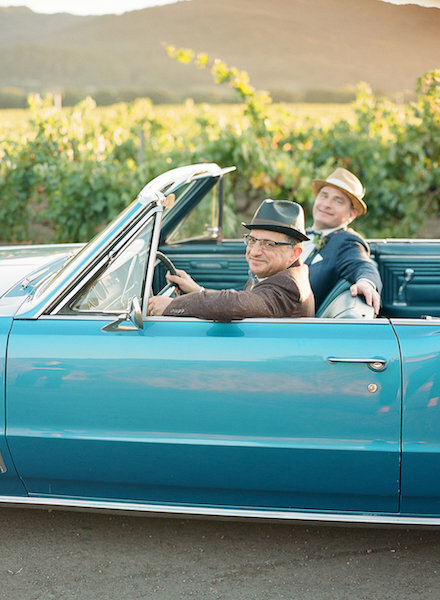 From there, the guests went into the barrel room at the CIA for a sit down dinner of classic 1960s food including Shrimp Cocktail, French Onion Soup, Beef Wellington, and Baked Alaska for dessert while listening to the sounds of Joe Escobar Quartet who played a selection of Frank Sinatra standards. 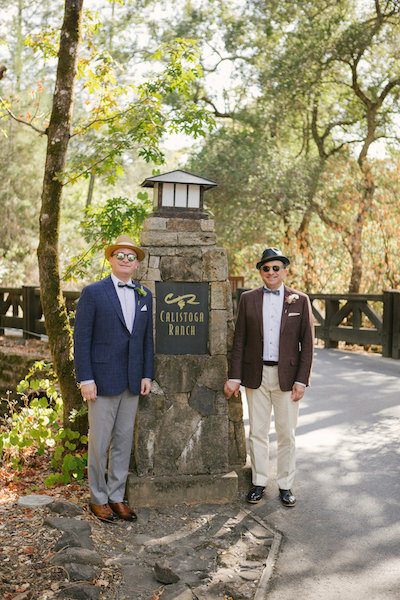 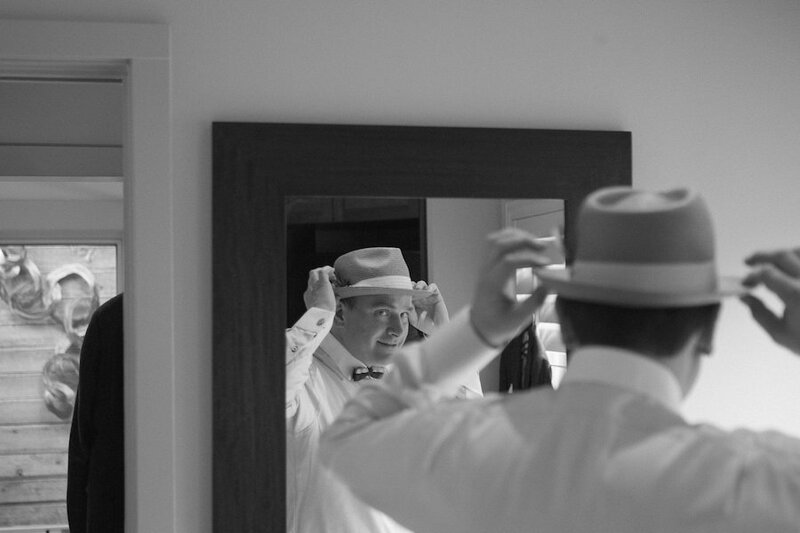 On Sunday September 4, the grooms were married at The Calistoga Ranch. 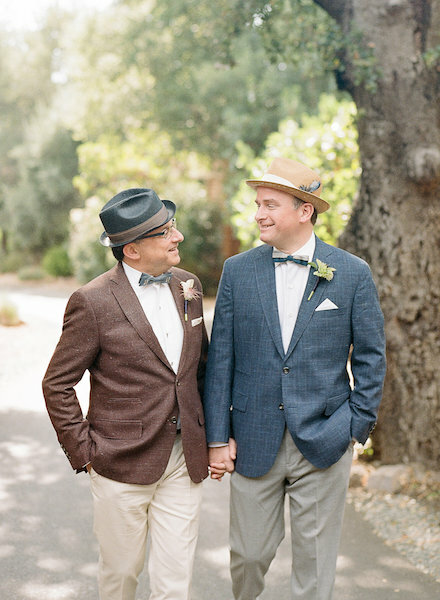 Paul, Eliav and their guests were dressed in vintage mid-century clothing for a ceremony in the vineyard of the ranch. 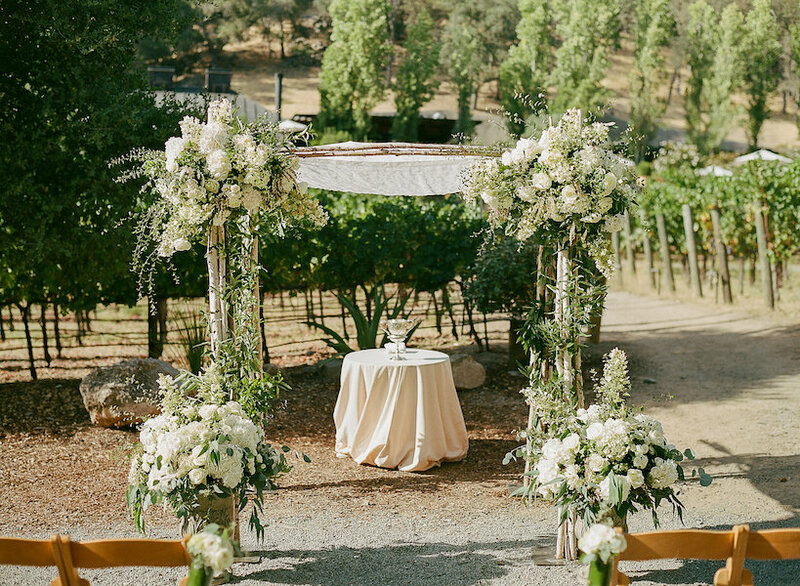 The setting of a vineyard tied into a number of wine-themed aspects of the ceremony including a blending of a bottle of Greek and Israel wine (to celebrate the grooms’ respective cultures) in a silver loving cup. 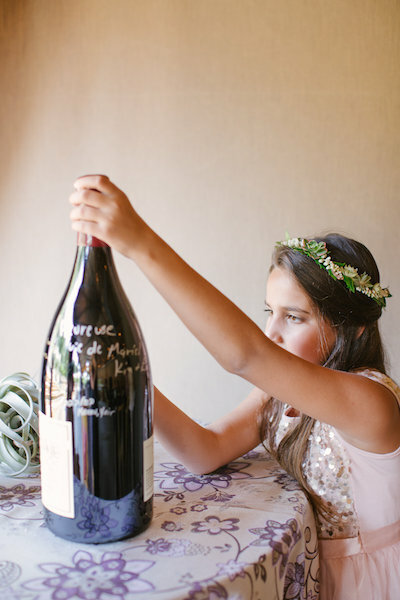 Rather than having a guest book to sign, the grooms provided a 5L and a 3L bottle of Kosta Browne Pinot Noir that each guest signed. 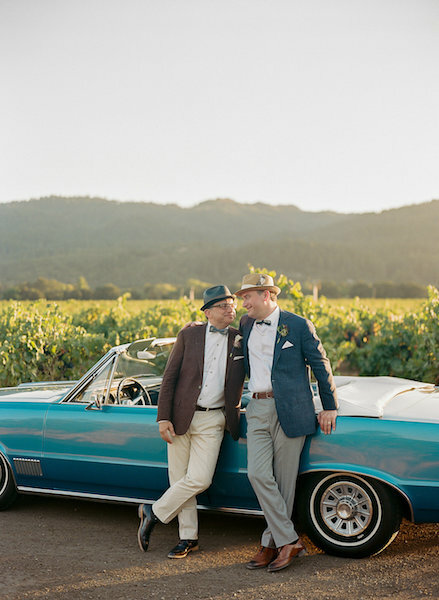 The grooms left the ceremony in a 1960s Pontiac convertible. 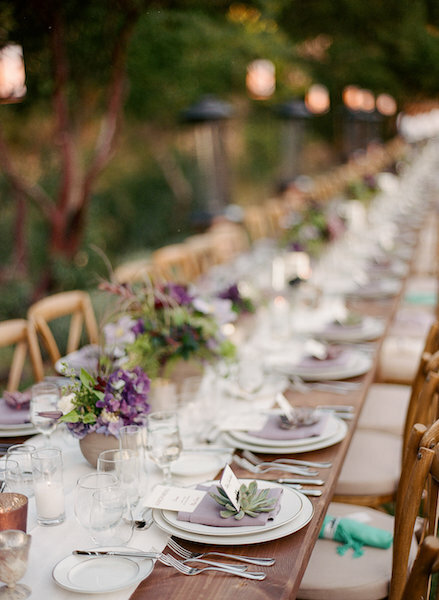 The 180 guests then moved up to the Lommel Lawn where they sat at two long tables along a lake and enjoyed a four course dinner served French style while the sun set over the valley. 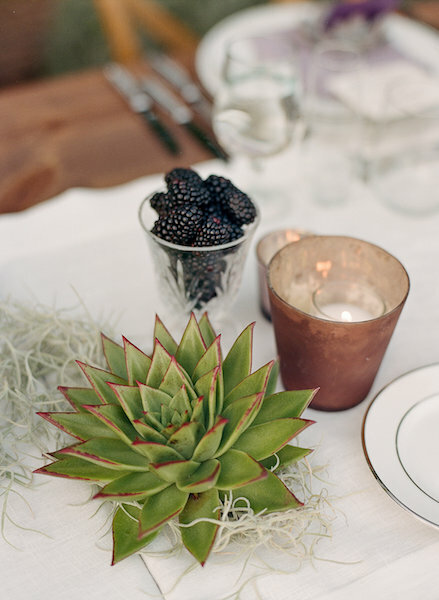 One of the highlights of the meal was the twist on a classic wedding cake with a generic wedding topper. 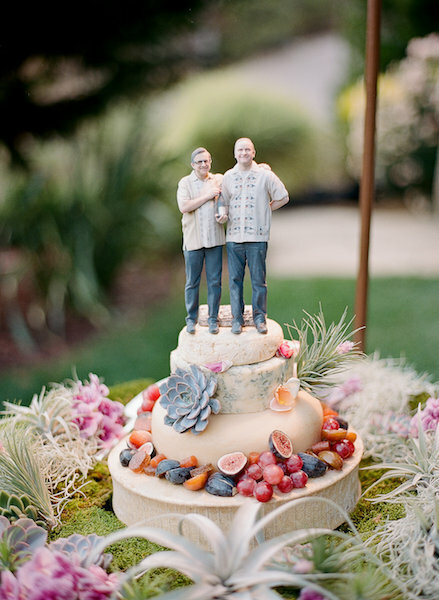 The wedding cake was made of four wheels of cheese. 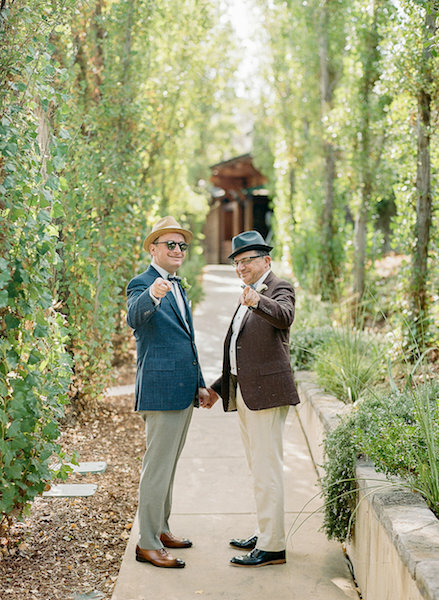 Instead of a traditional topper, the grooms provided a 3D printed replica of themselves holding bottles of wine (the replica was made at a 3D printing facility in which 54 synchronized cameras were used to construct a 3D image of the grooms posing in 50s ‘bowling shirt’ casual style holding bottles of Kosta Browne that was then printed into a statue). 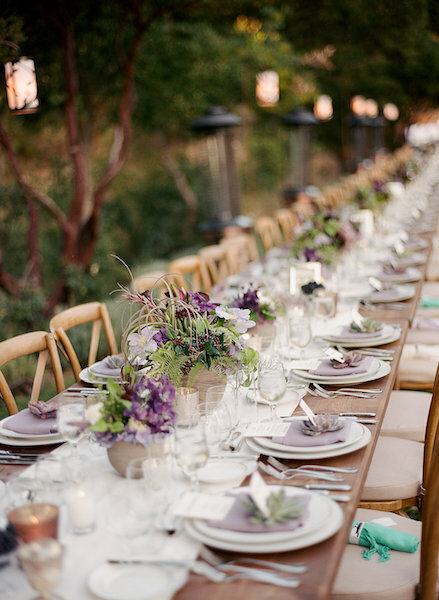 Following dinner the party continued in the wine cave at Calistoga Ranch for dessert, dancing and even a whisky bar. 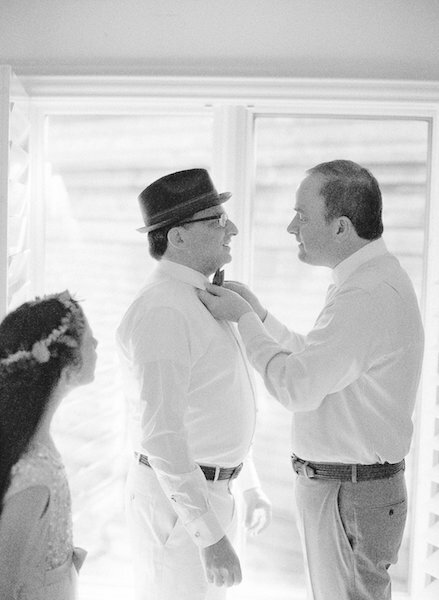 In keeping with the retro theme, the grooms’ first dance was to “You’re Just Too Good To Be True” by Frankie Valli and the Four Seasons. 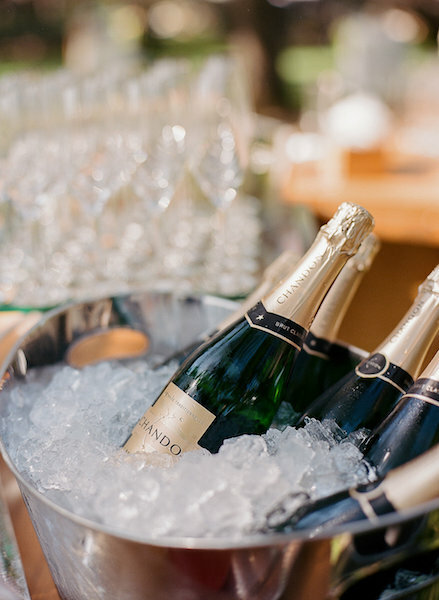 Finally, on Monday September 5, the party concluded with a champagne brunch at Domaine Chandon. 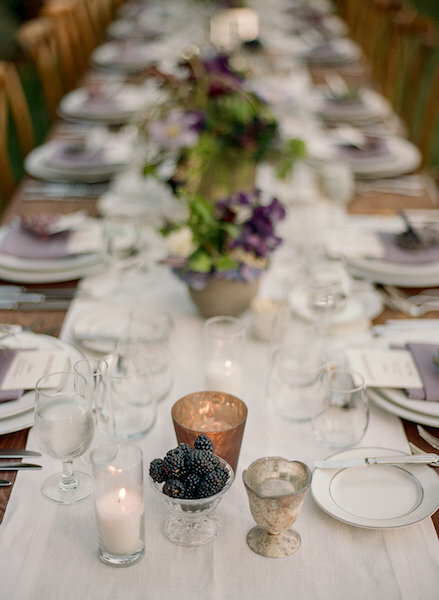 The guests first toured the winery to learn the unique process of making champagne-style sparkling wine, followed by an outdoor brunch on the lawn overlooking the valley. 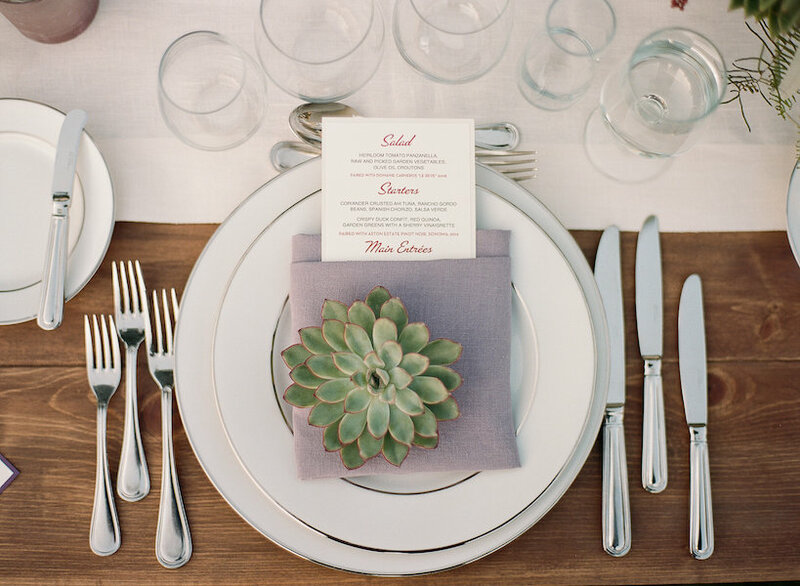 The foods were chosen to pair well with Domaine Chandon sparkling wine. 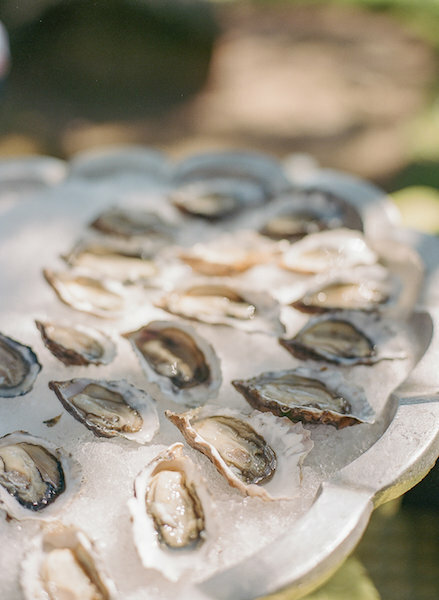 There were 10 stations included an oyster station, sushi, crêpes, pasta and even a donut making machine. 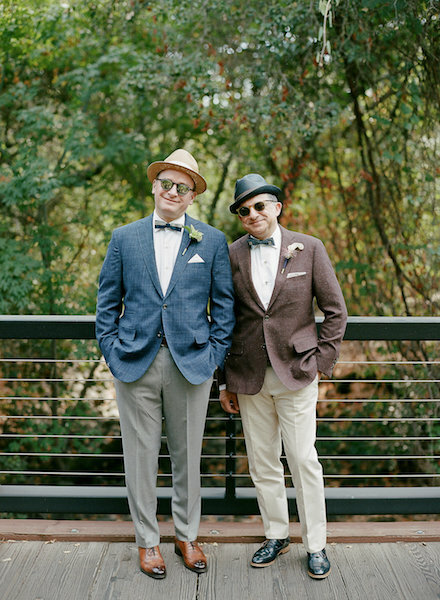 The three-day wedding weekend was a great success. 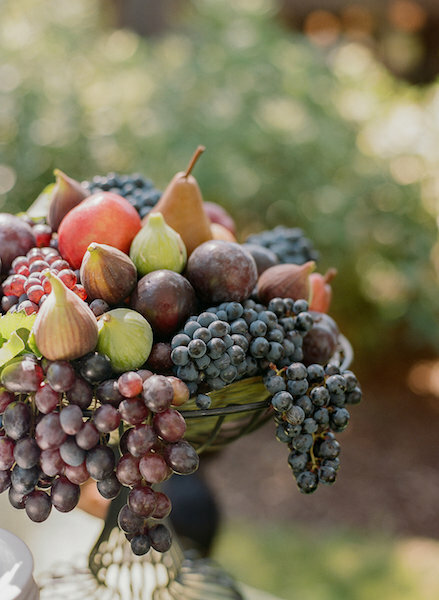 All of the senses were touched. 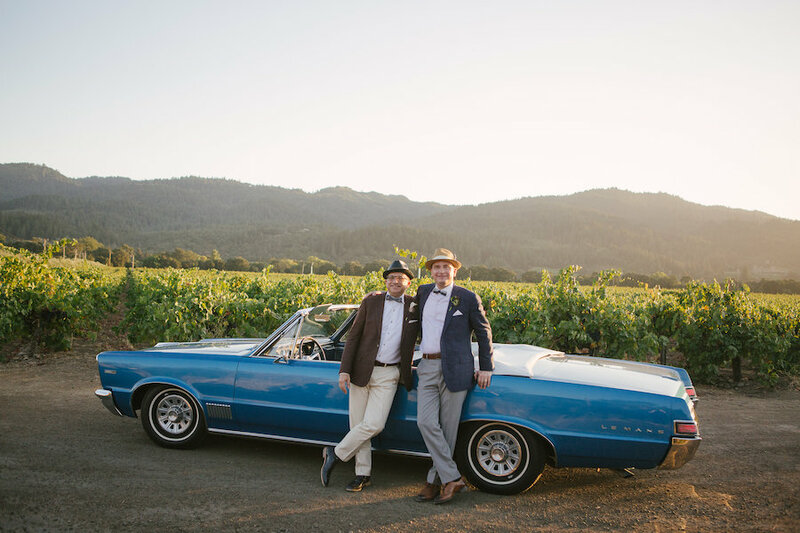 Guests dressed in vintage outfits, they drank vintage wine, ate food that was popular in the 1960s, listened to classic American standard songs of the period, and the grooms even drove around in a 1960s Pontiac convertible!